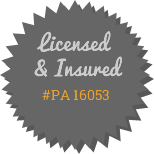 Saylor's Plumbing has been serving customers throughout Lancaster County, PA and the surrounding counties since 1998. Joe Saylor started the business after learning the plumbing trade and gaining experience working for local plumbing companies in the area. From the beginning, Joe wanted his business to focus on the customer and has always worked to keep the customer's best interest in mind when he recommends solutions. Instead of simply repairing a problem, Joe often takes the time to analyze the situation and recommend solutions for ongoing problems that save the customer time and money in the long-run. Saylor's Plumbing has earned a reputation for honest, dependable and affordable service and the business gets many referrals from satisfied clients as a result. Joe is a man of integrity with a strong work ethic and the ability to communicate clearly with customers. His extensive experience qualifies him to work in new construction as well as troubleshoot and repair plumbing issues in existing homes and businesses. Joe believes the customer always deserves to hear and understand all their options to solve their plumbing issues. So if you're looking for a dependable plumber for your home or small business, contact Saylor's Plumbing today.